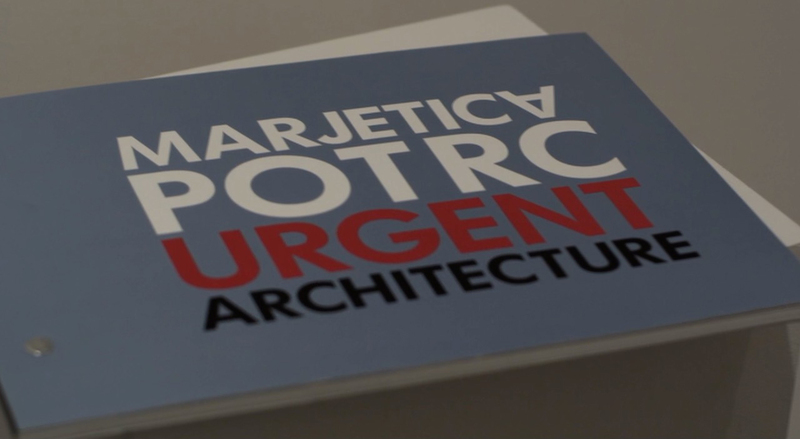 Marjetica Potrč is an artist and architect who works on community-based projects characterized by participatory design and a concern for sustainability. She has a particular interest in extended projects where she can work closely with communities in regions that are reinventing themselves after the decline of twentieth century modernism. Her work emphasizes individual empowerment, problem-solving tools, and strategies to create self-sustaining prosperity within these communities. My projects always stay with the community, and they change with the community. Barrio with no running water facilities. 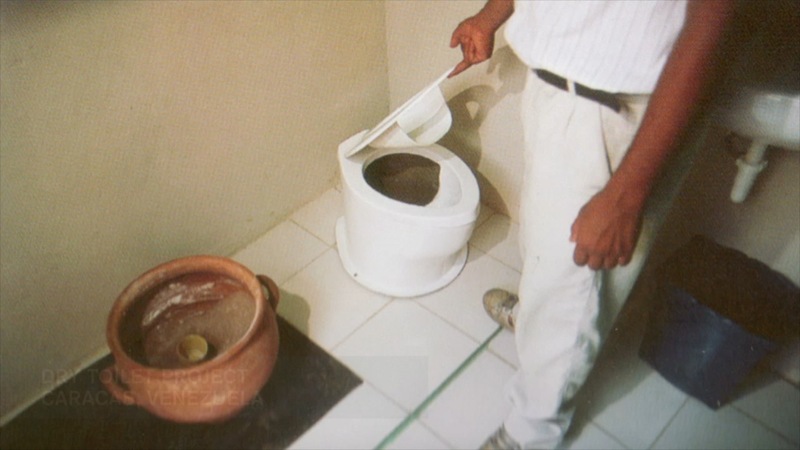 Dry Toilet simple low-cost solution for Barrio residents. Santerasmo Island, Venice. 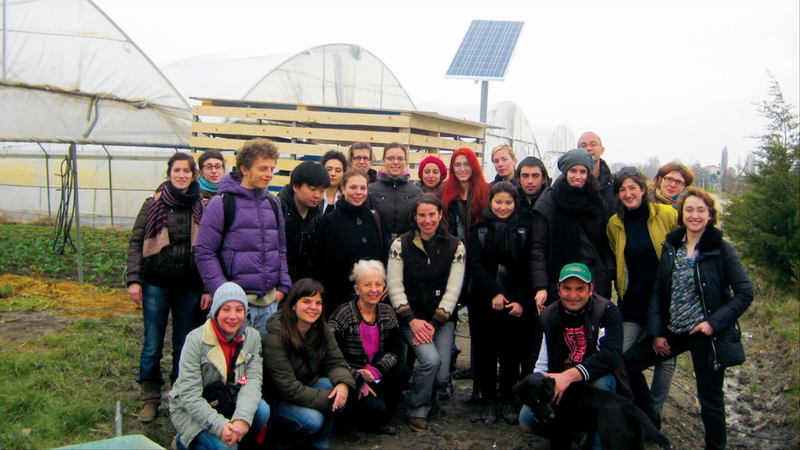 Potrc’s students bring innovation and skills to create low-impact greenhouses close to the city. Santerasmo Island, Venice. 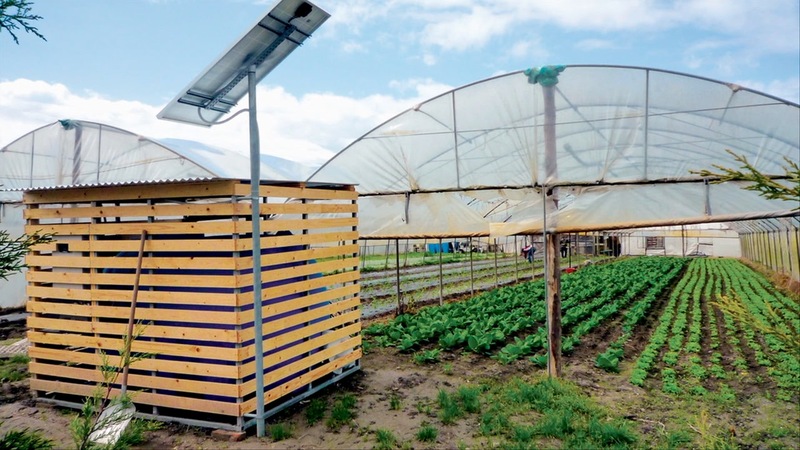 Rainwater Harvesting allows farmers to sell their produce directly. Santerasmo Island, Venice. 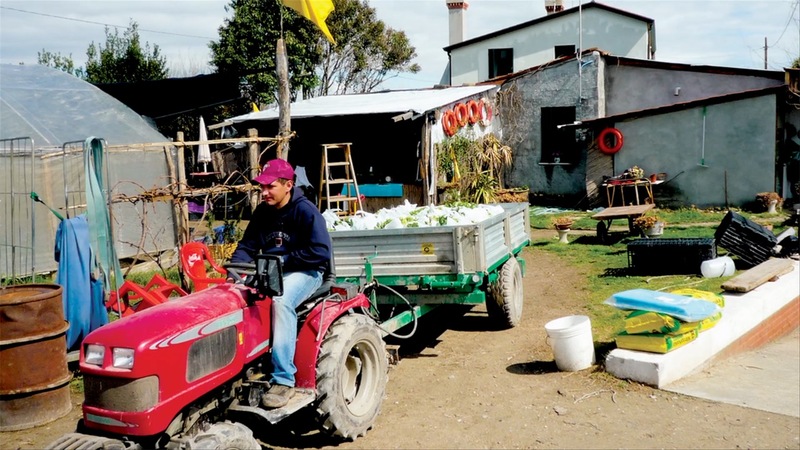 Rainwater Harvesting allows farmers to sell their produce directly to consumers. Santerasmo Island, Venice. 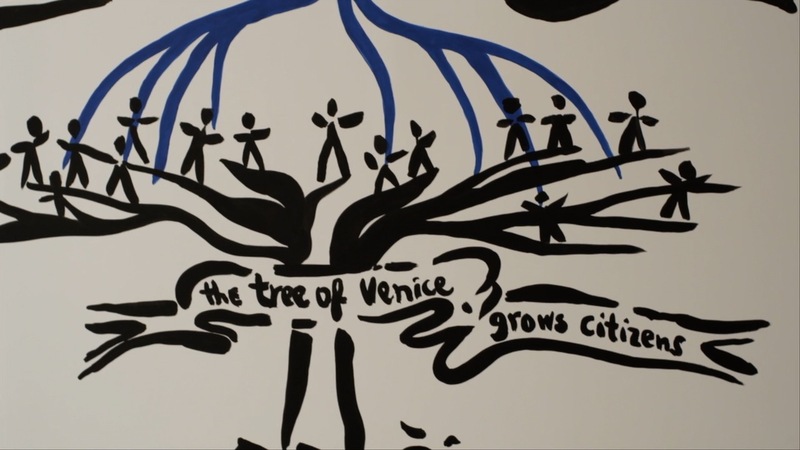 Banner: The tree of Venice grows citizens. 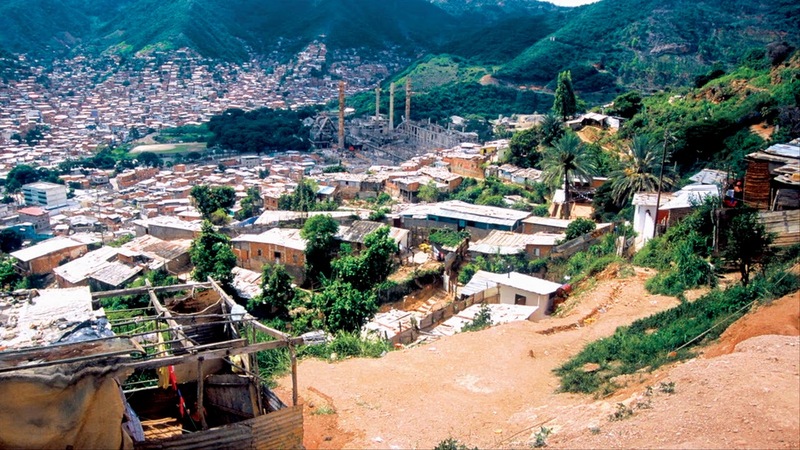 The first of Potrč’s extended projects was in 2003 when she was invited to spend half a year studying the barrios of Caracas, where a lack of running water presented major challenges. Potrč responded by collaborating with the Israeli architect Liyat Esakov and the people of the La Vega barrio on a “dry toilet,” an ecologically sound toilet that converts human waste to fertilizer. Today, dry toilets have been installed in both the informal and formal areas of Caracas, underscoring the fact that the scarcity of water affects the whole city. Since 2011, Potrč has been a professor at the University of Fine Arts in Hamburg, Germany. There she and her students carry out participatory design projects throughout Europe, the US and South Africa. In South Africa, she and her students spent two months in the Soweto district of Johannasburg working with residents on projects including turning a dumping ground into a community park. Potrč is as much a social scientist and anthropologist as she is an artist and architect. Her projects display a unique sensibility for identifying the existing social capital in a community and working with locals to find sustainable solutions to everyday problems in places where the traditional infrastructure has broken down. Potrč holds degrees in architecture and sculpture from the University of Ljubljana and has received numerous grants and awards, including the 2000 Hugo Boss Prize; a Caracas Case Project Fellowship from the Federal Cultural Foundation, Germany, and the Caracas Urban Think Tank, Venezuela (2002); and the Vera List Center for Arts and Politics Fellowship at The New School in New York (2007). 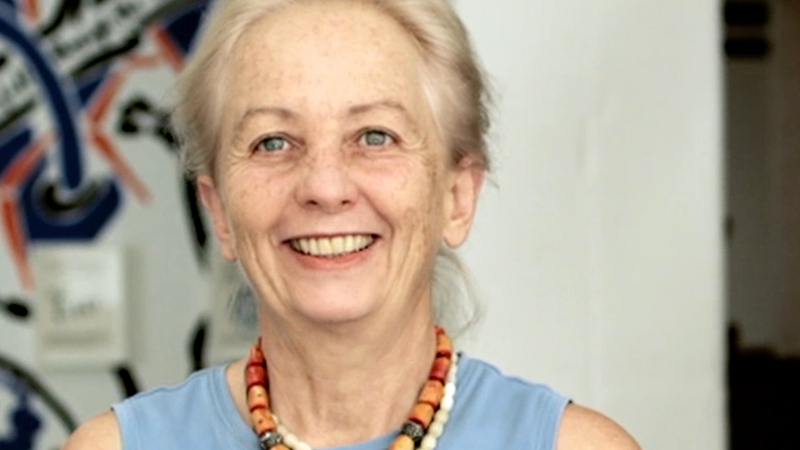 Her work has been exhibited extensively throughout Europe and the Americas, including the São Paulo Biennial (1996 and 2006), the Venice Biennial (1993, 2003, 2009), and a 2001 solo exhibition in conjunction with the 2000 Hugo Boss Prize at the Guggenheim Museum in New York.